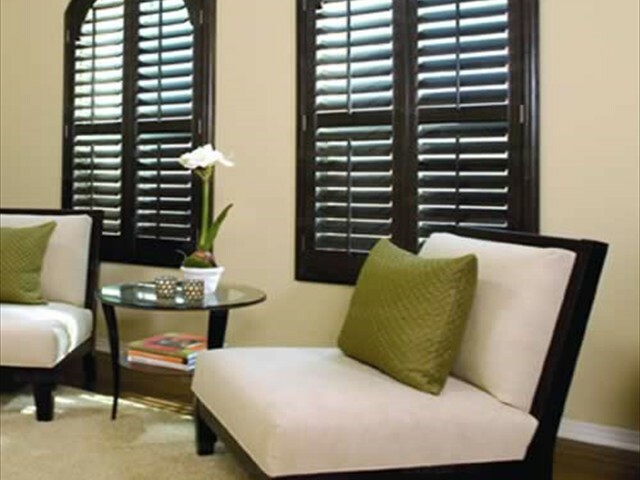 We order almost all of our shutters without frames and have the shutter manufactured so that they can be installed inside the existing window frame. This allows the shutter to be flush with the front edge of the customer's wood work. Our competition cannot do it this way because they do not have installers with the skills to deal with windows that may not be perfectly square or a host of other difficulties that almost always occur. One of our competitors actually hires us several times a year to do difficult installations for them. That cost is then passed on to the customer. 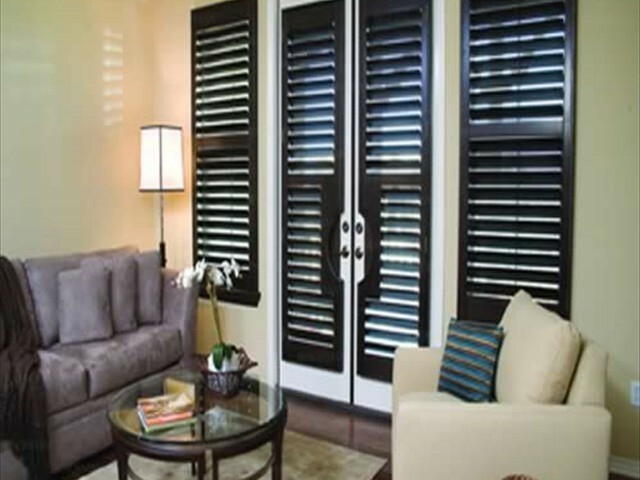 Shutters are made from various materials. The oldest is of course wood. 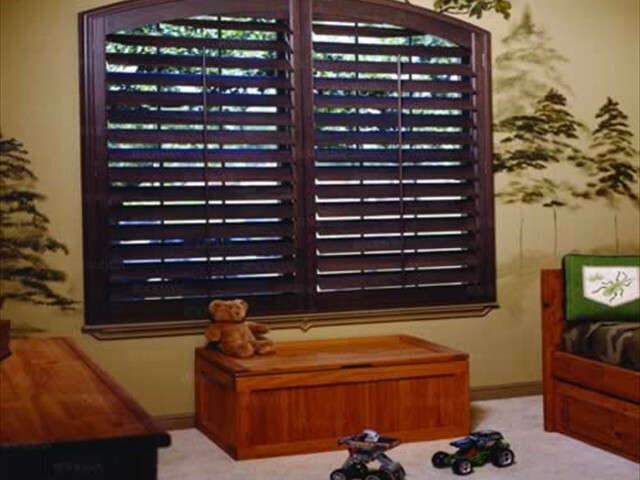 The wood shutters that we sell can provide any color you need. There are a wide selection of standard colors, but if none of them work, custom colors are available. We are one of a very few businesses in town which still sell traditional shutters (Shutters with a 1 1/4" slat). The most popular shutter is the plantation shutter with wider slats that are 2 1/2" and 3 1/2" wide. These are all custom ordered. 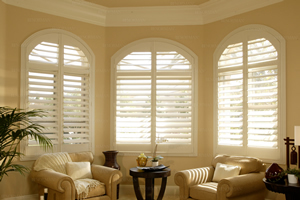 Our suppliers are the Norman Shutter Company and the Woodmart Window Covering Company. 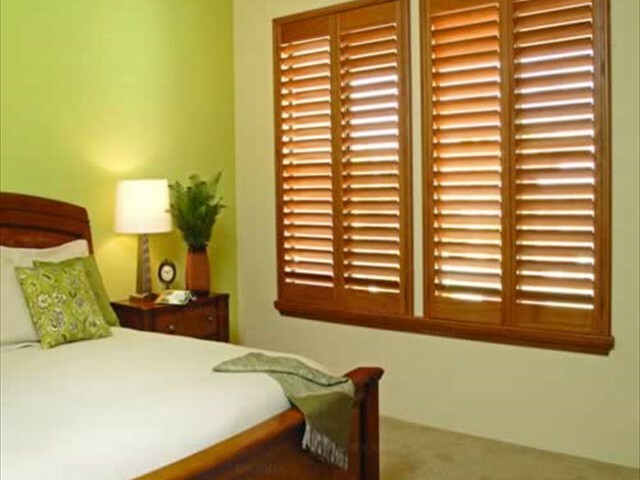 In the faux wood line of shutters, most of the local companies sell a laminated shutter. 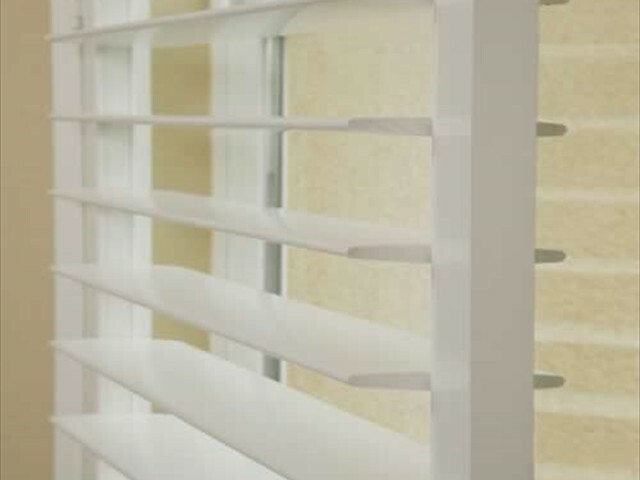 It is a product made of wood bi products extruded into the shape of the slats and side stiles and then laminating a plastic coating on top.We prefer a shutter made by Sunburst Manufacturing. It is called Polywood. It is a completely synthetic shutter made from PVC. You cannot tell it is faux wood until you touch it. 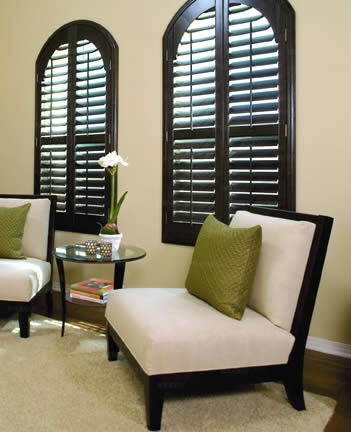 This material is more dense than other Faux wood shutters and is a three times better insulator than wood shutters. When the government gives tax credits for insulating your house, the Polywood shutter is the only shutter that qualifies for the tax credit. 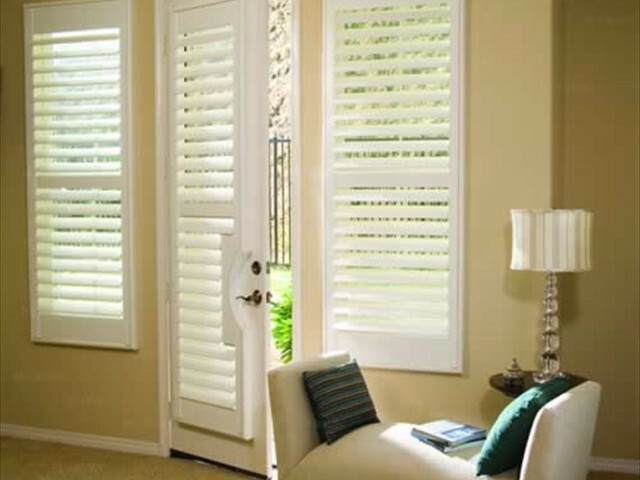 The Polywood shutter only comes in white and off white colors, but over 90% of all shutters sold are either white or off white. They will not fade,warp, peal, chip, crack or discolor over time. The shutter in our own home face directly south west and get absolutely brutal afternoon sun. We have had them up for 24 years and they look like the day we installed them. They are virtually indestructible unless you really try to destroy them. The Polywood shutter is less expensive than wood (approx 20%) and has a much shorter lead time. 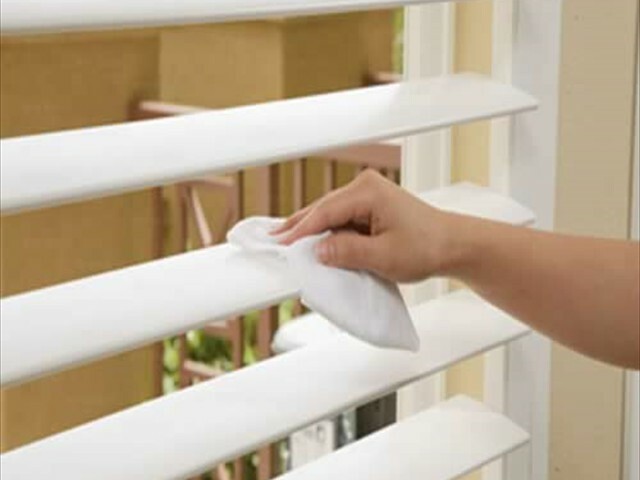 Polywood takes about 5 weeks and wood shutters are about 8-10 weeks. To schedule a FREE in home consultation just call us at 513-260-3217 or CLICK HERE for the contact form.